Antique Vintage Pair of Asian / Chinese Buddist Monk Boy Figures x 2. Condition ~ one of the boys robes would just need re-fixing from the back, as you can see the piece is there. 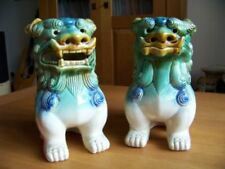 A Pair Of Oriental Figurines On Marble Plinths. Signed A Giannelli. Italian sculptor A. Giannelli. 10.5" tall. In good condition for the age. Height 30cm, base 16cm x 8cm, weight 3.65kg. Made from Cast Resin. But in no way impacting the overall effect of this lovely piece you have to really look! Antique Chinese 19thc Bronze Figure of a Foe / Lion Dog on Stand. An Interesting Chinese 19thc bronze temple dog mounted on a hardwood stand. 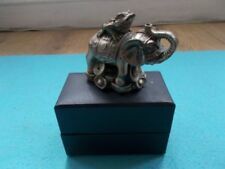 Size ~ 10 cm high x 11 cm wide, including stand approx. I believe it was made in the Dehua area of China and there are two marks on the back, one a square and the other a gourd shape. 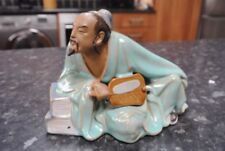 Vintage Oriental Figure Kwan Yin White Goddess Porcelain Figurine. On the back there are several impressed marks. 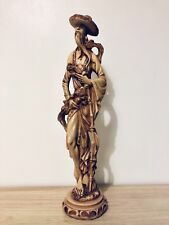 Tibet Thousand-Hand Kwan-yin Boxwood God Buddha Statue. - Material: Boxwood. Due to the difference between different monitors, the picture may not reflect the actual color of the item. 5” tall Check out all of the pictures for details. Normal wear can be expected. I make every effort to point out any obvious problems. I try to take photos of all areas and all issues.